Hi lovelies! 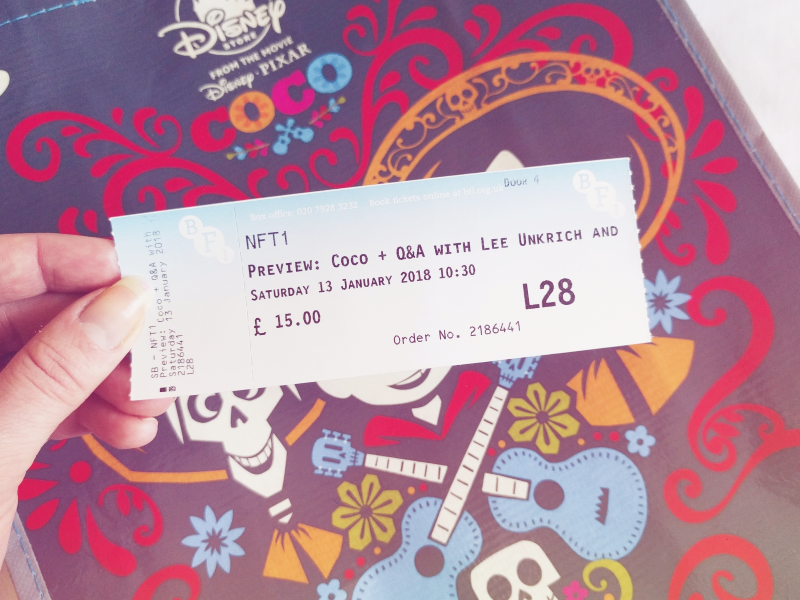 On Saturday I was very lucky enough to be able to attend a special screening of Pixar's new film Coco at BFI Southbank which included a Q&A with one of the directors, Lee Unkrich, and producer Darla K. Anderson! The Q&A was such an amazing experience - to even just be in the same room as two Pixar legends! - but it was so interesting to hear from the creators about their experiences working on this film. 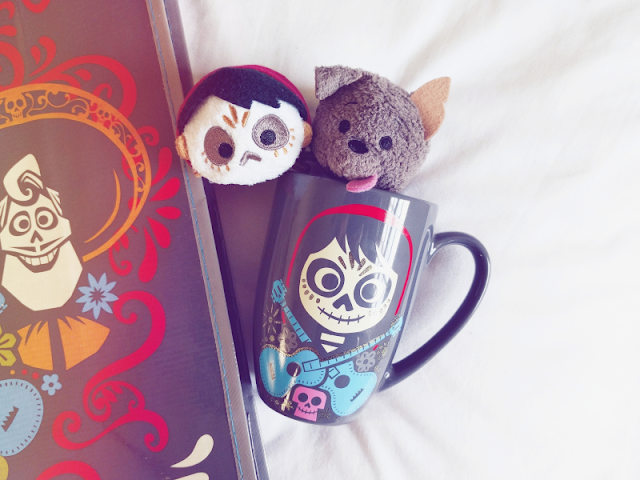 But mostly, I came out of the event absolutely in love with Coco and as today is the day it's released in the UK, I thought I'd share my thoughts on it! The trailers for Coco don't really give that much of the story away which you'll understand why once you've seen the film so I wasn't really sure what to expect but I was hooked right from the beginning! I'm going to re-watch it again this weekend but I think it's already a contender for one of my all-time favourite Pixar films! Disney and Pixar have got some beautiful films under their belts but nothing for me has ever compared to the art from Studio Ghibli films until now. Just wait for the scenes in the Land of the Dead - I was blown away by how gorgeous everything was! 3. I want to Disneybound Mamá Coco's outfit ASAP! All I could think whenever Mamá Coco was on screen was how cute the colours and designs in her outfit would be to Disneybound so naturally I've already got a wishlist on the go! 4. I cried... A LOT! I think towards the end of the film I was sat there with my eyes streaming for at least 10 minutes straight! If you don't like sad films don't worry, it's emotional rather than being just sad, but you'll definitely need to bring tissues with you to the cinema! From the main character Miguel to sidekick Dante, to Miguel's sassy grandmother Abueltia - every character was so entertaining and well-rounded, even those with little screen-time ("I asked for a shoe shine, not your life story!"). You could tell from the Q&A just how much the creators cared about making a film that was both respectful and representative of Mexican culture. One of the people who who asked a question in the Q&A was half-Mexican and you could hear the emotion in her voice as she thanked Lee & Darla for making a film where she could see her and her family represented. I have to admit I knew very little about the Day of the Dead and Mexican culture in general so it was lovely to learn a little more about this wonderful holiday. A big thank you to the lovely Charlie for inviting me to this event! I'd not heard of these events before but apparently BFI did one previously for Moana so it might be worth keeping an eye out on their website when the next Disney/Pixar film comes out in case they do a Q&A again! If you've seen Coco let me know what you thought about it! I feel like I could talk about it forever!